Gospel music's next hit-maker John Redmon has assembled a star-studded CD compilation in partnership with Universal Music Enterprises. The highly anticipated CD will mark Redmon's second full length CD release. Since the release of his first CD compilation A Woman's Journey (feat. Vickie Winans, Brenda Nicholas and Sallye Jones), fans have been eagerly awaiting Redmon's sophomore release. Since Faith, Love and Unity was so eagerly anticipated, Redmon enlisted the help of various artists to take the CD to the next level. 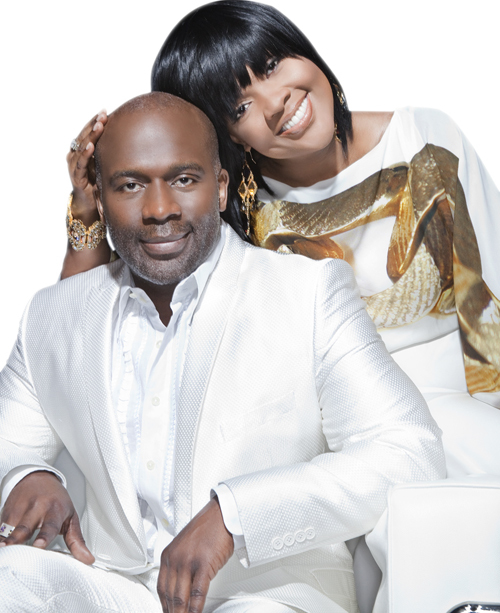 The CD includes R&B legend, Ms. Patti Labelle, platinum and Grammy Award winning duo, BeBe and CeCe Winans, gospel sweethearts Phil and Brenda Nicholas, and a host of independent artists from the Denver, Colorado area. "I wanted to do something big on this CD and you can't get any bigger than having the artistry of Patti Labelle and BeBe and CeCe Winans," Redmon stated of his choice to add material. Redmon also contributed his own beautiful Boyz to Men-tempered track Miss You in which he wrote and co-produced, using background vocals from members of the 2010 NBC's Sing Off Winners group, COMMITTED. "We all have known or experienced loss to some degree or another" explains Redmon, "so I felt it fitting to add this tune to the track line up for the project." Redmon went on to write and produce 3 additional songs for the CD that will prove to be inspirational classics. "It was truly a labor of love working with so many people on this project. I wanted to make sure that when people heard the CD that they truly heard songs of Faith, Love and Unity," says Redmon. "With our country facing so many national challenges - two wars, a financial meltdown, and the growing threat of environmental devastation - it may be tempting to relegate the AIDS epidemic to the lower rung of national priorities. Yet that would be a grave mistake. Every year, more than 56,000 people in this country contract HIV. The devastation is worst among Black Americans, who represent nearly half of all new HIV infections, including two-thirds of the new cases among women and 70% of the new cases among adolescents." Let's join together our hearts and our hands to wage war against this life-threatening disease.